Since the fall of the Soviet Union, long-suppressed information has emerged on Heisenberg’s role in the Nazi atomic bomb project. 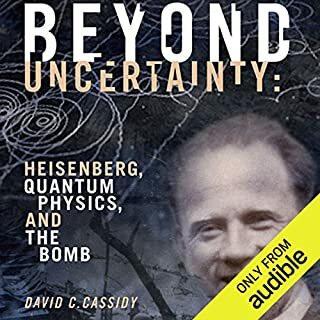 In Beyond Uncertainty, Cassidy interprets this and other previously unknown material within the context of his vast research and tackles the vexing questions of a scientist’s personal responsibility and guilt when serving an abhorrent military regime. Perhaps the greatest physicist of the second half of the 20th century, Richard Feynman changed the way we think about quantum mechanics, the most perplexing of all physical theories. Here Lawrence M. Krauss, himself a theoretical physicist and best-selling author, offers a unique scientific biography: a rollicking narrative coupled with clear and novel expositions of science at the limits. The son of German-Jewish immigrants, Oppenheimer was a man of phenomenal intellectual attributes, driven by an ambition to overcome his status as an outsider and penetrate the heart of political and social life. 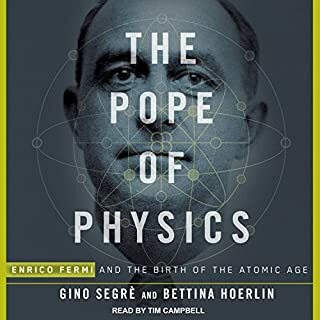 As a young scientist, his talent and drive allowed him to enter a community peopled by the great names of twentieth-century physics – men such as Niels Bohr, Max Born, Paul Dirac, and Albert Einstein – and to play a role in the laboratories and classrooms where the world was being changed forever, where the secrets of the universe, whether within atomic nuclei or collapsing stars, revealed themselves. Oppenheimer was one of the most important people in the history of mankind, when you consider how he contributed to science, and the development/harnessing of atomic energy. Talk about a world creator/destroyer; this was that guy! A genius like him comes around but once every century or so. Monk does a superb job in researching the complex life of a complex man. It easily could've gotten bogged down in meaningless details, but never did. It held my interest throughout. If you care at all about physics, science, or the history of nuclear weapons, this is the book for you. As far as biographies go, this is top 5 of the ones I've read. I've read over 50. This lengthy (700 pages or 36 hours audio book) book aspires to be a comprehensive biography of Robert Oppenheimer. Monk covers more of the Oppenheimer’s work and love of physics than some other of the biographers. Monk goes into the German-Jewish tradition into which Oppenheimer was born and the ethical cultural belief that shaped his family and education. The author claims Oppenheimer was so brilliant that Harvard University forgot its anti-Semitic discrimination. Monk follows “Oppie’s” education from Harvard, Cambridge and to Gottingen University. The author tells of Oppenheimer fluency in French and his love of French literature, he also wrote poetry and learned Sanskrit. Oppenheimer also spoke German and Dutch. In 1927 Oppenheimer co wrote with Max Born a paper entitled “On the Quantum Theory of Molecules”. This paper helped “Oppie” become known in the field of Physics. The author cover in great detail Oppenheimer‘s teaching jobs at Caltech and the University of California Berkeley. When I took physics at UC Berkeley my professors were proud to have been students of Oppenheimer and E. Lawrence. He was able to pass on to his students his love of physics. Monk then covers the time at the lab in Los Alamos and the work on the bomb. The author covers the two pillars of Oppenheimer’s life. His scientific leadership role in WWII atomic bomb project and his status as a martyr of the McCarthy era after the 1954 security hearing that stripped him of his clearance. The remainder of the book Monk describes Oppenheimer’s years leading the Institute for Advanced Study in Princeton, New Jersey. Monk provides by far the most thorough survey yet written of Oppenheimer’s physics and his work on neutron stars and black holes. His paper he wrote in 1938-39 was considered his most important theoretical work of his career. But “Oppie” died in 1967 before astronomical discoveries made his work relevant. He lost his chance for a Nobel Prize because they cannot be given posthumously. The book kept my attention throughout the 36 hours. Michael Goldstrom did a good job narrating the book. A really interesting time in science and politics. 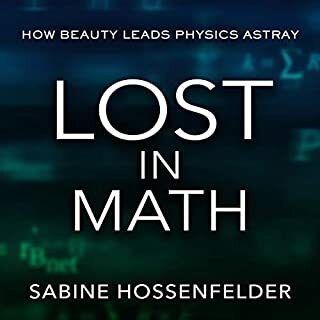 The start of the 20th century was an amazing time in physics, especially - this book is very much focused development of quantum theory, so called "modern physics" and an understanding of the structure of atoms and molecules. If you don't have a working knowledge of the science - e.g., if you don't know anything about the structure of atoms, a tiny bit about quantum theory, radioactivity - you might find this overwhelming. The bio is long on Oppenheimer's interactions with fellow scientists, and the science itself, although there is no math, no formulae - so it is palatable. Oppenheimer was an interesting character. Not always an especially nice person, very intense, full of contradictions. But he wrangled a group of elite scientists to create the atom bomb in a relatively short period of time, and for this, he was absolutely brilliant. Despite being completely loyal to the US, he was a Communist sympathiser in the 1930's, and this came back to him in the 1950's when he lost his security clearance. A series of events that has some relevance to today - pettiness, hysteria, ego, and abuse of power. Interesting times. Not much has changed. But it's a good listen, if the subject interests you. He is a human being like the rest of us with some remarkable interests. This was a wonderful book for shedding light on, and expanding my understanding of the Manhattan Project. That is a pretty cool thing, being a Feynman fan it is cool to get stories that cross paths with his life line. This book gives us a peek into the lives of other great physicists of that age too which I also enjoyed. It is written well enough to have you emotionally attached and sympathizing for him as the course of his life is unfolded in such a seemingly complete way. Bravo to Ray Monk! If while reading(or listening) to a book I am brought to empathetic tears I am a fan. This book did that for me, as well as educated me on historical and physical matters concerning some of the most exciting parts of United States history. The narrator was perfect by my standards. My standards require for perfection a voice that is not annoying, and few pronunciation errors throughout the production. This fits that descriptions. 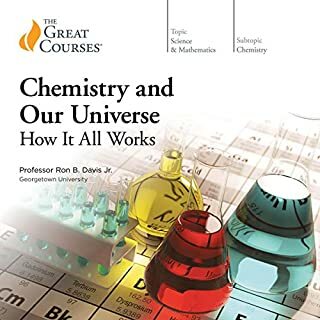 I am not sure, but believe this is not in the Science and Technology section of Audible. I mention that because this was a book I believe I would have purchased long ago had it been cataloged there. I found this on the shelves of a Barnes and Noble and thought I would type it in to the search bar on Audible just for shits and giggles, and to my surprise it was there. Anyway, with some of the technical aspects of the science being done in the history observed in this book, Ray Monk gets very descriptive. That was a plus for me, but may seem unnecessary to many reader. The author also gives a short argument in the beginning of the book defending these lengthy technical inclusions. This is well worth the credit! Author does an excellent job of explaining the physics and politics of the first six decades of the 20th century and of the beginning of the Cold War. The reader of the Audible book read the text with care and nuance. It was not hard to listen to this long book in 1 hour chunks. Also a geat insight into many aspects of the entire era of the A-bomb. Requires some familiarity with concepts in physics. I always wanted to read a thorough study about Robert Oppenheimer and this one delivered. The narrator Michael Goldstrom was fantastic and made the entire book a pleasure to listen to. Not being a physics guy did not detract from my enjoyment of the book nor my understanding of the matter. It was more important to understand the characters in the story than the equations. That made everything very easy to follow. The arc of Oppenheimer's life was interesting from beginning to end. 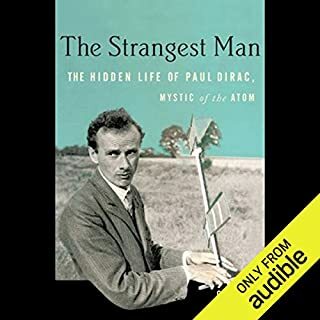 Most of us know him strictly through his supervision of the Manhattan project at Los Alamos, but the book gives us insight into the man, his mind, his brilliant intellect, his flawed personality, his masterful management of brilliant people, and his weaknesses as a father, husband and friend. What made the experience of listening to Robert Oppenheimer the most enjoyable? This is the first audio book for which I feel compelled to write a review. To summarize, the content and narration are absolutely without peer.Having read both of Richard Rhodes' excellent volumes on the making of both the atomic and hydrogen bombs, and living in New Mexico, I was intrigued by J. Robert Oppenheimer, and began searching for a biography. 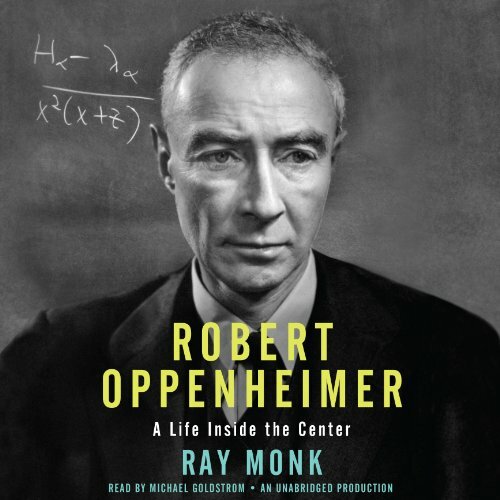 Ray Monk's magnificent work strikes---for me---a perfect balance between a narrative of Oppenheimer's background and his scientific accomplishments in physics. From his childhood and adolescence, his early college education, his time in Europe, his unexpected talent as a manager of the Los Alamos National Laboratory during the Manhattan Project, and his later term as Director of the Institute for Advanced Study at Princeton, Monk takes us literally "inside the center" of Oppenheimer, his work, his personal life, and his tribulations with security issues.One sees the contradiction in Oppenheimer: his need for intimate human contact, but his inability to achieve such---this is often mistaken for arrogance.The narration by Michael Goldstrom is perfect---accurate and with a dignity and sense of time and place..If I could give both the book and narration SIX stars, I would. Both are that good. What other book might you compare Robert Oppenheimer to and why? Superb. Perfect balance between storytelling and technical content. Gained a lot of insight into Oppenheimer, the atomic bomb and particle physics. Very well written and narrated. 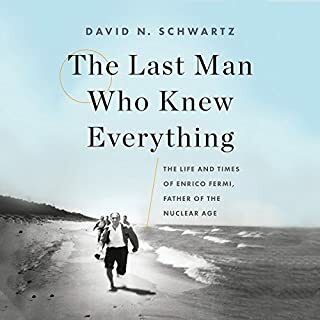 This is a great biography for any reader who is interested in particle physics, the development of quantum theory, and 20th century history and politics. The portrait of Oppenheimer as a man is very interesting, and is portrayed mostly through the lens of the history of Jewish emigration to the U.S., O's academic and intellectual interests, the development of quantum theory early in his career, the Manhattan Project, and his struggle to help mold U.S. atomic policy directly following WWII. It's very science heavy -- not for readers looking for a more personal look at the man.